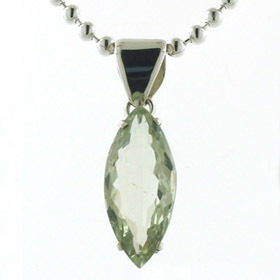 This superb green amethyst necklace is set in sterling silver and finished with a silver belcher chain. 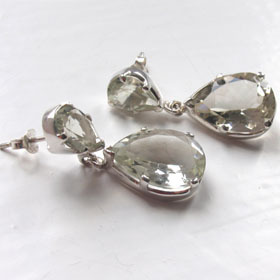 The quality of these green amethyst gemstones is excellent. 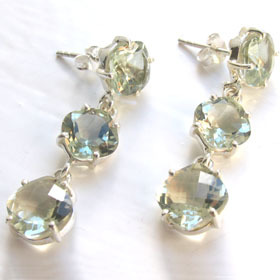 They are flawless, even in colour and have full brilliance. 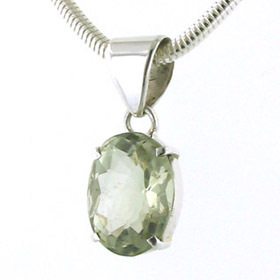 Green amethyst is a soft sage green colour and will mix well with most colours. 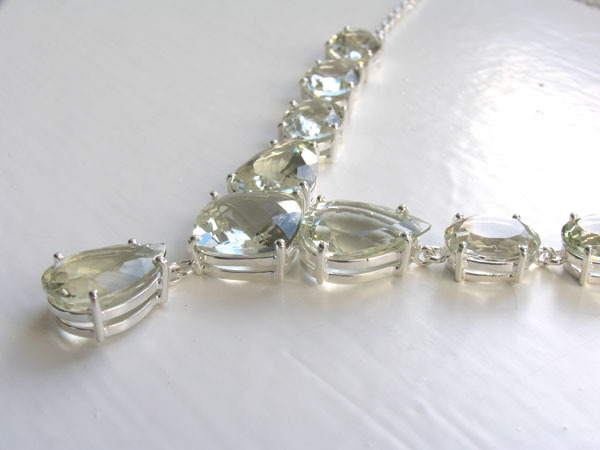 The ovals and pears in this necklace are diamond cut. 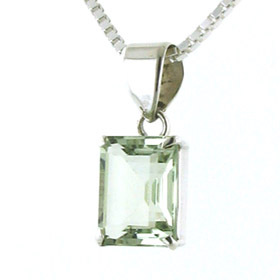 The central square stone is cushion checker cut. 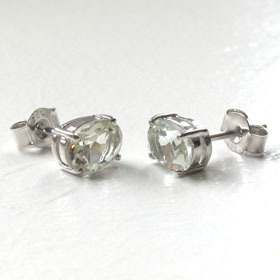 The facets on the surface of these stones create radiating sparkle and enhance their beauty magnificently. 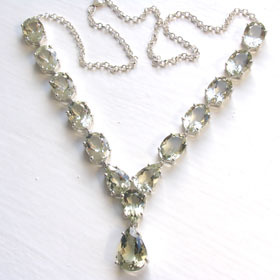 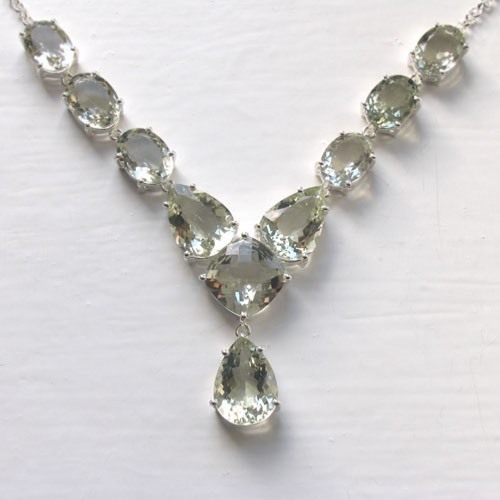 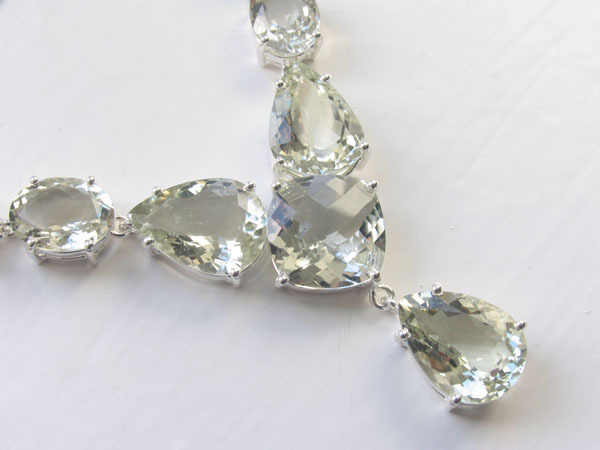 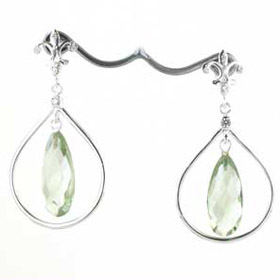 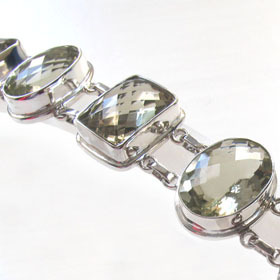 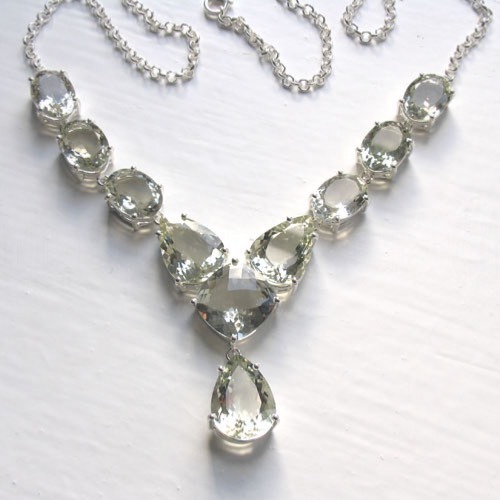 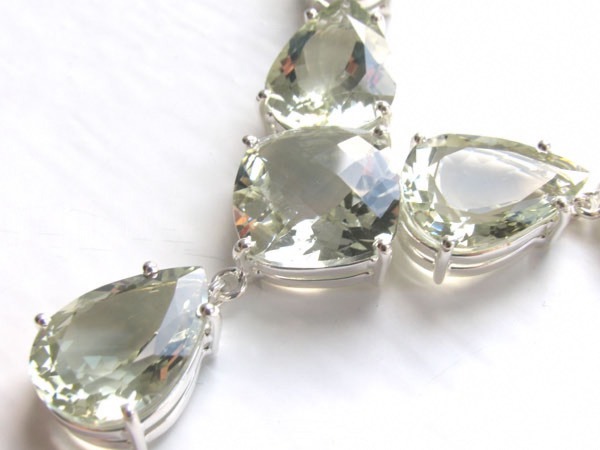 These are large green amethyst gemstones and they create a necklace with glamour and drama.